In the recent Lok Sabha debate, Congress chief Rahul Gandhi said Prime Minister Modi runs a “suited-booted” government that favours rich cronies while neglecting the poor. Modi fired back at an investment summit in Lucknow. He declared he was not afraid to be seen with businessmen, whereas Congressmen did so secretly to negotiate dirty deals. 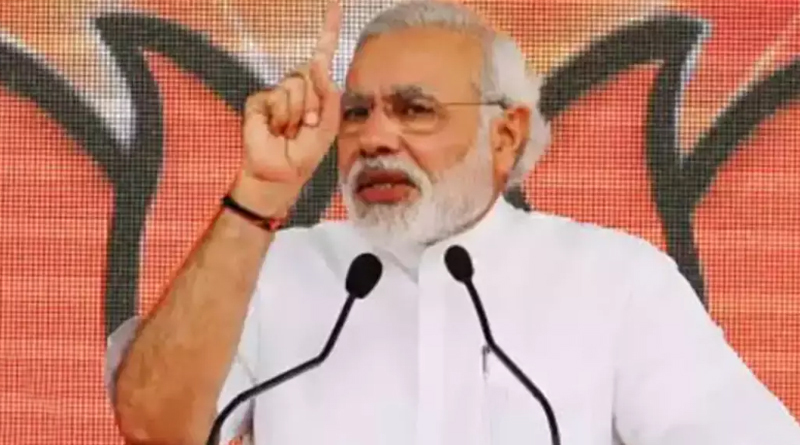 Modi said nation building required the joint effort of industrialists as well as farmers, workers, bankers and civil servants. Crooks in all spheres must be prosecuted, but all industrialists should not be tarred with the same brush. Clearly, the 2019 election campaign has already begun. Modi thrashed the Congress-led UPA coalition in the 2014 election, successfully portraying the Congress as a scam-ridden bunch of thieves. Rahul is now trying to hoist Modi on his own petard. Will this work? Probably not. Sadly, khadi kurtas and Gandhi caps, once associated with self-sacrificing leaders fighting for independence, have long become associated with corruption and misgovernance. The left — including Rahul Gandhi — may pretend that the source of all corruption is the suited-booted businessman. Yet the thrashing of Rajiv Gandhi in the 1989 election and of Sonia in 2014 flowed from voter conviction that the biggest crooks were those in khadi and Gandhi caps. The second term of the UPA government from 2009 to 2014 was marked by scams galore, and a massive anti-corruption agitation led by Anna Hazare, that finally cooked Congress’ goose. The Modi era has also witnessed accusations of corruption and shady deals. But these pale in comparison with what happened in the earlier UPA. Cronyism has not disappeared. Alarms have rightly been raised about the credentials of industrialists claiming they have been chosen to make fighter aircraft or submarines. Yet cronyism is dramatically down from UPA days, and down even more from the licence-permit era of the Congress for four decades after Independence. In that era, which Congress still extols as the great socialist legacy of Jawaharlal Nehru and Indira Gandhi, free business decisions and competition did not exist. Every industrial licence was a favour, bestowed through political discretion, and not competitive rules. Every import licence, every foreign exchange allocation, every clearance and permit was a favour. In short, the licence-permit raj was cronyism, and cronyism alone. The winners were those who could get licences and grab clearances, not the most efficient. At that time, India had many sick industries but no sick industrialists: these were not held accountable for failed industries, and were saved repeatedly by banks until there was nothing left to save. No industrialists lost control of their units no matter how massively they defaulted on loans. This nothing-but-cronyism era finally ended, in stages, with economic reforms to liberalise the economy in 1991. Narasimha Rao ushered in that revolution, but since he was not a member of the Gandhi family, the significance of the 1991 reforms is barely acknowledged by the Congress today. It refused to celebrate the 20th anniversary of economic reforms in 2011. It preferred to stress populist giveaways, while extracting money from the very suited-booted gentlemen it criticises today. Cronyism has not ended, but it has reduced in the Modi era. The courts had already decreed that spectrum and coal blocks should be auctioned, not bestowed on political favourites. Modi has enacted a bill for the auctioning of all minerals. New laws on benami property and real estate reforms are helping check tax evasion and homeowner exploitation. Demonetisation was bungled badly, yet has persuaded millions more to file income tax returns. The Goods and Services Tax, discussed for years but pushed through by Modi, also shows promise of checking tax evasion and black money. Income tax collections are buoyant: the suited-booted are paying much more. The greatest Modi reform has been the Insolvency and Bankruptcy Code, providing for the exit of crooked or incompetent promoters from companies defaulting on huge loans to banks. For the first time, industrialists are losing control of some of the biggest companies in India. Essar had to sell Essar Oil and has lost control of Essar Steel. Jaypee had to sell its cement plants. A dozen of the biggest defaulters are headed for auction or liquidation, with hundreds more in the queue. This is anti-cronyism at last. The rich and powerful are finally being separated from the big businesses they have run badly. This does not mean the end of corruption or cronyism. But it means a major start has been made in the right direction. No amount of suit-boot jibes by Rahul Gandhi can cloak this.